Dale Burton is an artist blacksmith and carpenter who lives and works in Knife River, MN, on the shores of Lake Superior. 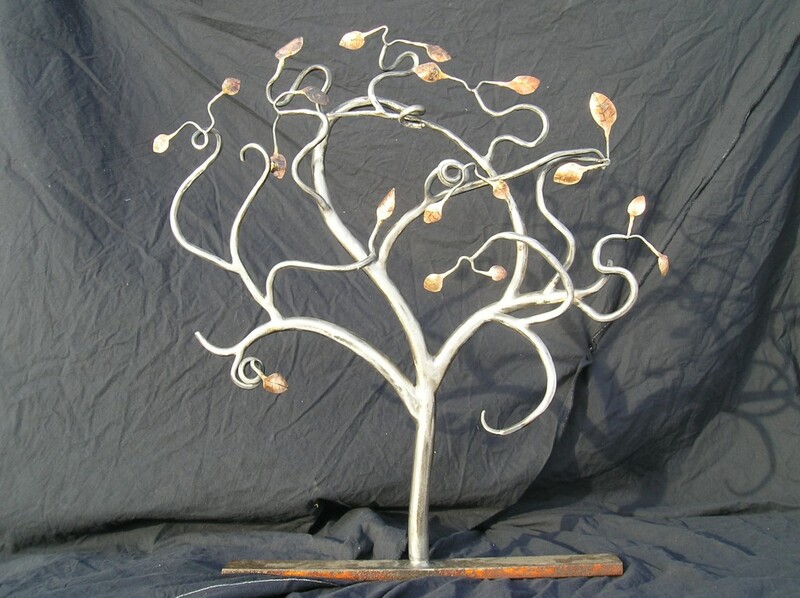 He uses a variety of metals including wrought iron, new steel, copper tubing, and reclaimed metal. His favorite metal to work with is aged steel, which contains natural pitting and enhances the character of the item he has created. First time visitors are often surprised when they enter the gallery. From both the Minnesota State Highway 61 and the North Shore Scenic Drive, you see a very rustic, board-and-batten barn with a blue metal roof. Inside, however, you are greeted with light walls, a timber frame, and elegant pieces of art throughout.